With the TES Teach with Blendspace mobile app, teachers can easily create engaging, interactive lessons from their iPads. A new mobile app from TES, a global network of educators and provider of classroom resources, helps teachers find and organize digital education resources and easily integrate digital content into classroom instruction. 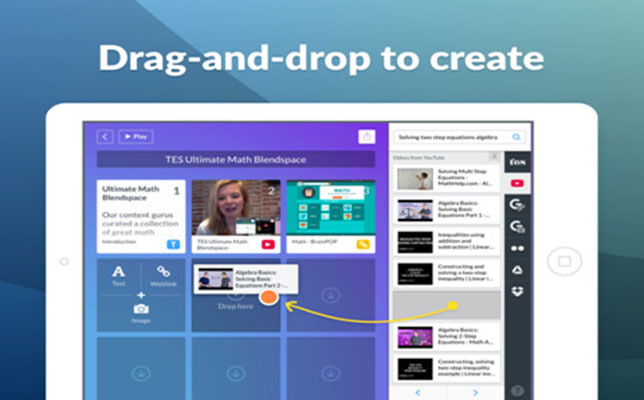 TES Teach with Blendspace is a free tool that enables users to create unlimited interactive lessons, presentations and projects by dragging-and-dropping web content, computer files and more. The app allows teachers to organize their videos, websites, documents, images and assessments all in one place. Source: TES Teach with Blendspace. Quizzes to track individual students progress. “TES Teach is a must-have app for tech savvy teachers because it shows you how to take content from places like tes.com, Google Drive, YouTube and Dropbox and put it all in one cohesive lesson,” said Kevin Tiller, a Massachusetts teacher, in a statement. “It's super easy to use and it makes lesson planning fun." TES Teach with Blendspace is available on the iTunes store.